I liked how the plot was very clearly presented from the beginning, find a way to get the ailing Mrs. E to the cure, and each chapter was like an obstacle to be overcome, instead of jerking the kids from one unknown to the next. 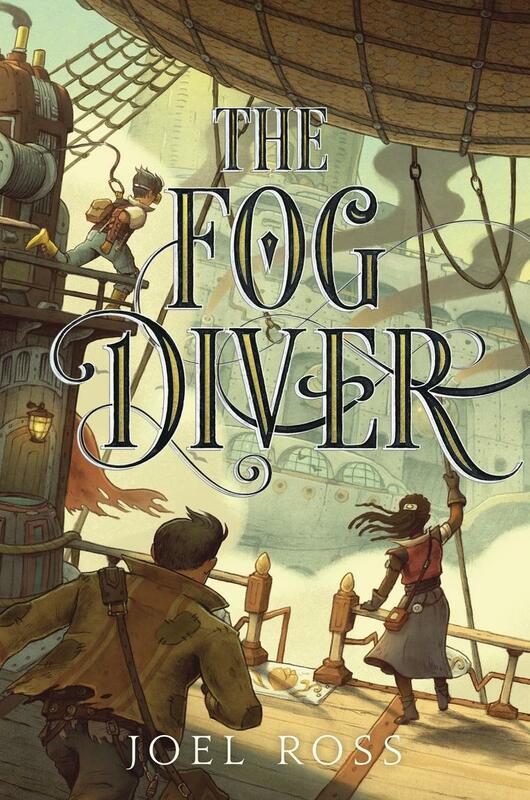 Everything was something they could actually handle, but there was also a real sense of danger with the cliffs surrounding the city they live in and the ramshackle slum that are hanging by a thread and the omnipresent fear of the fog. What great world building! It seemed magical and mysterious at first, but it’s actually a clever way to think about the future! Of course it is almost like the robots rising up trope, but an interesting and timely take on it. Man, I love that cover art. 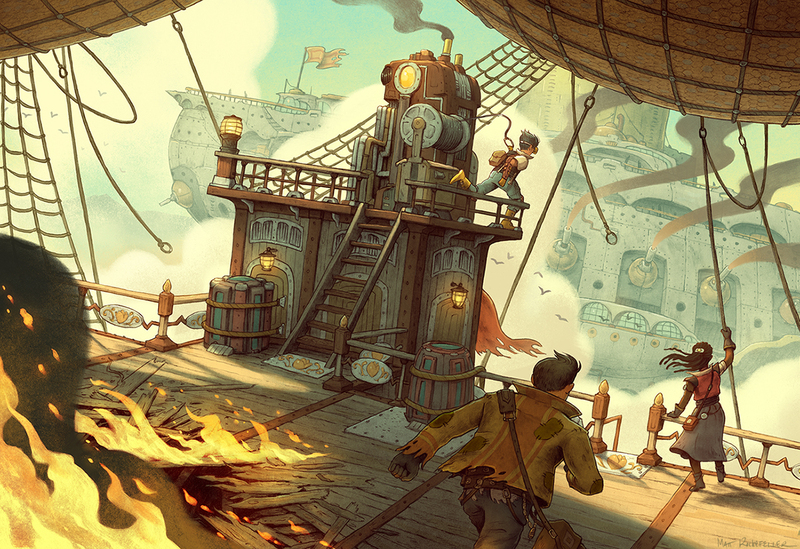 Click the image to read some about it on Matt Rockefeller's blog. I feel like I learned something valuable about middle-grade fiction with this book. This was an adventure with a rip-roaring pace, it seldom felt like we had a moment to catch up before something else was being built onto what we already knew. It meant that as I got close to the ending, I didn’t want to put it down. There wasn’t time to get bogged down in detail. It was also really funny. I can’t wait to read the sequel in this duology. So much more world to look forward to.